Systemic change in any large organisation has its difficulties. But implementing a multi-level, close-quarter combat training system in an army of more than 30,000 personnel is a huge task. In introducing the Australian Army Combatives Program (ACP), our defence force has taken a step that’s both big and bold. But it’s taken that step with good reason: Our heads of army want all their officers and soldiers to be able to survive an attack, whether on the battlefield or off, with or without warning. Australia is still engaged in the longest war of our history: the battle against the Taliban and terrorism in Afghanistan. It’s a war where the enemy uses guerrilla tactics; combatants mix in with civilians, and close-range fighting is common. Meanwhile, across the world, soldiers and police have also become targets of terrorists while on duty and off. So, our defence force is to be commended for putting such importance on the combat skills — and by extension, the safety — of all soldiers. Regardless of their individual roles within the army, all enlisted personnel will learn the essentials of close combat. Having led Commando units that relied on these skills to survive live combat operations, I understand the need first-hand. That need is now being met with the Army Combatives Program. It started in 2017 at Robertson Barracks near Darwin, where the soldiers of the 1st Brigade were the first to complete Level 1 of the course. That was the beginning of a mission to have the entire army qualified during 2018. Many more units have since done the training, and qualification programs will be maintained for all incoming soldiers in future. So…How are Army Combatives Courses Different? Those who haven’t served in the Australian military may not realise what a big shift this is. Army combatives training has never before been given this level of importance, nor has it ever been truly systematic. In years past, the army has used a multitude of different hand-to-hand combat courses and training programs. These included Unarmed Combat, Close-Quarter Fighting, Defensive Tactics, randomly selected civilian martial arts and, most recently, Military Self-Defence (MSD). Most programs were unrelated, so each one required practitioners to learn an entirely new skill set. Worse still, the majority also ignored firearm handling and skills, with some courses even contradicting the ADF’s standard firearms practices. By contrast, the ACP is designed to link together all combative skills in what’s described as an ‘integrated combat continuum’. To quote an old adage from the Eastern martial arts, the weapon is an extension of the body. It’s also the most powerful thing soldiers have at their disposal — and equally powerful in the hands of an enemy if they take it. So, it’s foolish to ever treat the soldier’s primary weapon as a secondary consideration. That applies even when teaching soldiers how to use their bodies to fight in close quarters. The ACP also delivers continuity, as all close-combat training is now aligned. There are different course units to cater for operational needs, but all are built on the same principles. Rather than being seen as different courses, there is one program with different levels, all of which incorporate the modern combat-shooting practices now being implemented across the army. The first day in any level will be the same for every soldier, whether they’re a new recruit or a Special Forces operator. The upshot is that army personnel won’t have to learn a new approach whenever they move into a new role. This means they’ll also be better able to retain, refine and build on the skills throughout their military careers. Before MSD was reintroduced, hand-to-hand combat training in the army had waxed and waned over the years. Whatever sporadic training was undertaken tended to be greatly influenced by the martial arts background of the chief instructor at the time. MSD’s objective was similar to that of the United States Marine Corps Martial Arts Program (MCMAP). That is, to provide a standardised, hybrid martial art suitable for use across the entire army. Army leaders hoped that this would bring back the concept of the close fight and better enable soldiers to utilise personal weapons and unarmed combat — must-have skills for the modern battlefield, which often has no front or flanks. Over time, though, our infantry battalions became more and more involved with ‘outside the wire’ combat operations. It was there that soldiers found MSD lacking in effective solutions, especially for small teams with soldiers working close together. This was partly because some techniques weren’t suited to tactical goals, but also because the training was too complex to ensure retention and successful application. Many soldiers complained that MSD had far too many techniques to learn in one week of training — and it did. For instance, many of the throws came from judo and were too complicated to learn effectively on a short course. Because judo-style throws were being taught, trainees were also required to spend hours learning and practising breakfalls. However, the time restraints meant that breakfall practice caused more injuries than it prevented! 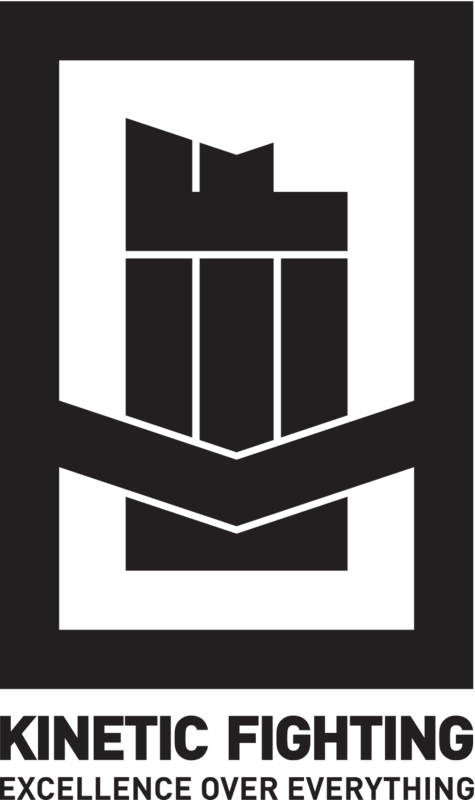 So, the courses no longer include breakfalls or complicated techniques — instead, ACP uses the Kinetic Fighting Integrated Combat model. This works off core skills already processed by the soldier and applies them to achieve desirable ‘end states’ for dealing with extreme violence. Three years before the introduction of the ACP, our army’s Infantry Corps began leading the shift away from MSD. To be fair, the MSD of today is not the MSD of 12 years ago. When I was first introduced to MSD, it involved many more techniques than remained when ACP took over. It had been refined over time, with contributions from various subject-matter experts within the military and martial arts. Nevertheless, it could not meet the demands of the battlefield on which our infantry was fighting. That’s why the School of Infantry began looking to Special Forces for a solution. With Aussie Special Forces having been involved in the majority of close combat engagements over the past 20 years or so, it made sense to draw on their specialised skills and knowledge in that area. So, in February 2014, the Australian Defence Force School of Infantry stopped training infantry soldiers in MSD. Instead, it introduced the course now known as Infantry Integrated Combat (IIC), a training package I created based on the Special Forces Integrated Combat (SFIC) course. I’d already spent seven years or so developing the SFIC while a sergeant in the 2nd Commando Regiment, so a tried-and-tested template was already in place. IIC also incorporates specialised combat shooting skills, based on the Extreme Close Shooting (ECS) program I developed for Special Forces. That skill set, by design, integrated seamlessly with the SFIC methods, aka Kinetic Fighting. The training methodology is fundamentally the same for Special Forces Integrated Combat and Infantry Integrated Combat, as both are hinged on Kinetic Fighting concepts. However, SFIC requires greater skill acquisition and a rigorous, extensive pressure-testing phase, which includes extreme close shooting with live rounds. You could say that Infantry Integrated Combat sits in the middle ground between MSD and SFIC. While it doesn’t cover the advanced techniques and procedures only required by Special Forces soldiers, it is fundamentally better suited to the needs of the modern infantry soldier. Why? Because it is offensive in nature and suited to small-team combat operations. Notably, the Australian Infantry was the first non-Special Forces corps in the world to take on this style of training. And it was Aussie Special Forces soldiers — the Kinetic Fighting team — who first delivered it. Breaking it down, the Army Combatives Program features four levels of training. Level 1 (basic) is for all personnel, and will be taught at the army’s entry gateways — the first recruit-training battalion for soldiers and the Royal Military College for officers. Level 2 is for all corps of the wider army, at the discretion of commanders and depending on their soldiers’ needs and roles. Level 3 will be for Infantry Corps, and Level 4 will qualify instructors to teach Levels 1–3. There will also be additional units for skill-enhancement available to qualified instructors, as well as those who simply want to advance specific skills relevant to their military role. Those with more acute needs, such as Special Forces, will need to be qualified to Level 4 and undertake further specialised training. ACP is not a self-defence course; it teaches soldiers to neutralise threats as part of an integrated approach to combat. This means that shooting, weapon (mainly firearm) handling, close-combat tactics and techniques are all incorporated in the overall approach. This was the first thing I wanted to achieve when I first began redeveloping the Special Forces Close-Quarter Fighting course more than 10 years ago — for obvious reasons. The Australian soldier spends more time with his rifle than any other tool of close-quarter combat, so it only makes sense to relate all of the hand-to-hand training to the rifle. The program does, of course, teach techniques for when a soldier finds themselves unarmed, including when in public and off-duty. From there, the soldier moves through the different levels of training, which introduce the various personal weapon systems available. The soldier also learns how to make full use of any available object as a makeshift weapon. Most importantly, all Australian soldiers, regardless of level, now learn how to work with and support a fellow soldier if they come under attack. Kinetic Fighting is the all-encompassing name that represents the foundation of my close-quarters battle methods and principles. It pertains to all of my work with Australian and US military, including (but not limited to) Special Forces Close-Quarter Fighting and Integrated Combat, Infantry Integrated Combat and the Army Combatives Program. It’s also the banner under which I’ve trained law enforcement and security teams since retiring from the 2nd Commando Regiment in 2013. Put simply, Kinetic Fighting is a combat methodology designed to enhance soldiers’ effectiveness and ‘survivability’ at very close range when facing a determined enemy. By necessity and design, it is a non-perishable skill set that is simple — and quick — to learn. It also fully accounts for the mental and physiological barriers to action encountered amid the life-or-death conditions of war. That is, it is designed to work under extreme pressure. In recent years, Kinetic Fighting has gained a solid foothold in the military world. This is primarily because it has been proven effective by the modern warriors who apply it. There have even been several corroborated and documented incidents in which soldiers’ lives were saved by employing its methodology (you can read about some of these on this blog: for example, here). Having generated the Special Forces and Infantry Integrated Combat programs, Kinetic Fighting now provides the framework and content for the ACP as well. For my part, I’ve been contracted by the army as the ACP’s subject-matter expert (SME). The School of Infantry supplies the instructors, due to their extensive experience delivering the IIC course to their own trainees. My role is to help them ensure the success of the mission. I’m extremely proud of the Australian Army for taking what is really a giant step forward. From humble beginnings within a Special Forces unit, this all-of-army program now prioritises self-protection as a skill set. 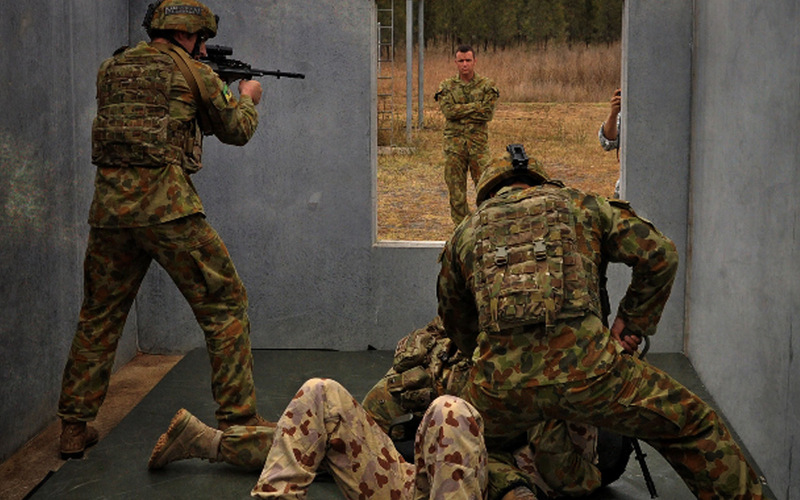 The Army Combatives Program will give all our troops the skills and tools necessary to protect not only themselves but their fellow soldiers, regardless of their primary job or employment category within the ADF.